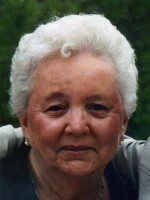 Bernice Dorothy Norton of Martin, passed away Tuesday, April 22, 2014, in Plainwell. Her unwavering faith in the God who paid for her sins has now enabled her to be received into His presence, where she will spend eternity! Bernice Dorothy Samuelson was born on November 5, 1917 to Anton and Amanda (Engdehl) Samuelson. Her 96 years were filled with service to others and in later years her home became a place of hospitality for traveling family members and missionaries. On December 23, 1939, she married Raymond Norton, who preceded her in death in 1981. They had seven children: Phillip Norton of Plainwell, John (Marsha) Norton of Portage, Dan (Shirley) Norton of FL, Mary Murray of Grant, Martha (Tom) Thornton of Martin, Tim (Karen) Norton of Kalamazoo and Joe (Peggy) Norton of Dorr; and then 16 grandchildren and 21 great-grandchildren with three due soon. She was also preceded in death by her parents; siblings, George and Ruth; and a son-in-law, Joe Murray. Friends may visit with Bernice’s family from 6 to 8 P.M. Friday, April 25, 2014, at the Winkel Funeral Home, Otsego. A Funeral Service will be held at 11:00 A.M. Saturday, April 26, 2014 at Watson Bible Church, Pastor Tim Farley officiating. Burial will follow at Hicks Cemetery. Contributions in memory of Bernice may be made to Watson Bible Church. 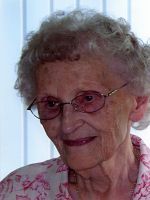 Hazel L. Rice of Otsego passed away Sunday, April 20, 2014 at Wings Home in Allegan. She was born August 23, 1927 in Heath Township to Otto and Josie (Boerman) Pegg. Hazel was a 1943 Otsego High School graduate. On August 28, 1948 she married John Rice who passed away in 2002. She was employed at the Allegan County Court House, Nelson Accounting, Otsego Falls, and retired in the early 90’s from Otsego Machine Shop. Hazel enjoyed playing spider solitaire and traveling to Hawaii, Alaska, Cancun and around the continental US. Hazel loved being with her family and friends, spending time with her grandchildren and her dogs and cats. She was a member of the VFW Ladies Auxiliary. Surviving are her children, Linda (Dennis) Snider of Plainwell, Brenda “Colleen” (Boyd) Morris of Alaska and Phillip (Nichole) Rice of Otsego; 2 grandchildren, Jeremy (Trish) Morris and Andrea Morris; 4 great-grandchildren, Triston, Haley, Clayton and Tayla; many nieces and nephews. She was preceded in death by her parents; her husband; and her siblings, Louis, Howard, Earl, Kenneth and Gerald. Friends may visit with her family from 6-8 P.M. Thursday, April 24, 2014 at the Winkel Funeral Home, Otsego where a funeral service will take place at 11:00 A.M., Friday, April 25, 2014. Burial will follow at Mountain Home Cemetery. Contributions in memory of Hazel may be made to Wings Home of Allegan or to the VFW Ladies Auxiliary. 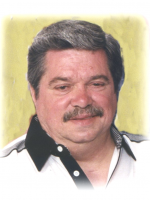 Kyle L. Anderson of Plainwell passed away Saturday, April 19, 2014 in Alamo.Mr. Anderson was born July 5, 1941 at the family home in Gun Plain Township to Roy and Jacqueline (Morris) Anderson, both now deceased. 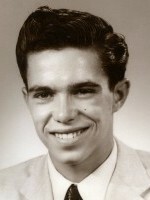 Kyle graduated from Martin Rural Agriculture School in 1959. For 36 years he was employed at the Plainwell Paper Mill until the very last day of its existence in April of 2001. He enjoyed his home and loved watching sports, movies and history channels. 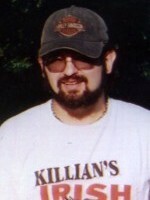 He also loved to watch poker programs and played poker with many family and friends. He enjoyed spending time with his grandchildren and friends. When he was young he loved the out of doors and was a successful hunter, then enjoyed passing those skills on to his younger grandchildren, who because of him have been very successful.Kyle was a member of the Portage/Schoolcraft Eagles, American Legion of Schoolcraft and the 12th Street Baptist Church. On September 15, 1984, in their home, he married the love of his life and best friend, Lynn, who survives. Together they blended a family of six children, Mark Kyle (Donita) Anderson of Texas, Deborah Lee Simpson of Kalamazoo, Dawnl Lynn (Mark) Israels of Portage, Bryen Howard (Brandy) Pion of Martin and deceased son, Craig Eliot. They also have a daughter, Barbara. There are 15 grandchildren, Cherie, Kenneth, Christopher, Savanah, Derek, Adam, Bryce, Bethany, Emily, Nikki, Roy Jr., Melanie, Ashley, Andrew and Amanda; many many ‘adopted’ grandchildren; several great-grandchildren; brothers, Richard Lee (Lloyal) Anderson of Colorado and David Allen (Linda) Anderson of Nevada. He also left behind to cherish his memory his two four-legged sons, SkipE and Tyty. Friends may visit with Kyle’s family from 2 to 4 and 6 to 8 P.M Wednesday, April 23, 2014, at the Winkel Funeral Home, Otsego. A funeral service will be held at 11:00 A.M. Thursday, April 24, 2014, at 12th Street Baptist Church, Pastor Thaddeus Stout officiating. Private burial will be at East Martin Cemetery. In lieu of flowers, contributions in memory of Kyle may be made to the 12th Street Baptist Church or Disabled American Veterans. Jaryd Ford age 21 passed away unexpectedly Wednesday, April 16, 2014. He was born November 2, 1992 in Plainwell to Richard and Christine (Tungate) Ford. 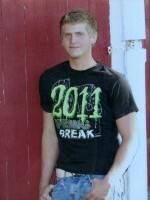 Jaryd was a 2011 graduate of Martin High School where he played football and was on the wrestling team. He was a member of Teens On a Mission and was committed to Michigan Special Olympics where he was a certified coach. Jaryd was an avid hunter who enjoyed the outdoors and spending time on the lake. He was employed at Mall City Mechanical and was working to become a plumber. Jaryd loved fast cars especially his mustang, riding his ninja motorcycle, girls and had a smile and personality that could light up a room. Jaryd was a great uncle to his two nieces and nephew. Surviving are his mother, Christine Ford (Brett Cobble) of Plainwell and father, Rich Ford of St. Joseph, MI; his siblings, Jessica (Ryan) Shook, Jacob Ford and Jaxon Ford all of Plainwell; his step-siblings, Alexandra Cobble and Devin Cobble; his two nieces, Ava Shook and Ella Shook; his nephew, Kobe Shook; grandparents, Carol Ayers, Carol Ford and Tom Tungate; and his great-grandmother, Beulah Ayers. Preceding him in death is his grandfather, James Ford. Friends may visit with Jaryd’s family from 2 to 4 and 6 to 8 P.M. Friday, April 18, 2014 at the Winkel Funeral Home, Otsego and from noon until the time of the funeral service at 2:00 P.M. Saturday, with Pastor Sean Kidd officiating. Following the service cremation will take place. In lieu of flowers contributions in memory of Jaryd may be made to the Martin Athletic Boosters. Linda Marschall of Otsego, passed away Tuesday, April 15, 2014 at Alamo Nursing Home. She was born February 27, 1936 in Muskegon Heights to Sid and Margaret (Easterly) Scott. On September 29, 1956 she married Melvin Marschall in Kalamazoo. 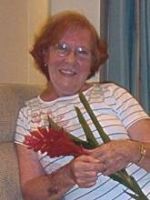 Linda enjoyed playing cards, flower gardening, traveling, shopping, sending cards to all of her family and friends, reading and attending book club. For many years she worked the ticket booth at the Allegan County Fair. She was a member of the Alamo Congregational Church. Linda had a big heart having been a foster parent for more than 30 years. Family was the most important thing to Linda she loved spending time with those she loved. Surviving are her husband, Mel; her daughter, Diane (Gene) Slater; eight grandchildren, Michael (Jennifer) Slater, Scott (Kim) Slater, Keri (Sean) Newton, Kevin (Laura) Slater, Kristy (Travis) Taylor, Jessica Brady, Cassie Marschall, and Chelsea Marschall; 15 great-grandchildren; her sister, Loretta Scott of Muskegon Heights; and many extended family members. Preceding her in death were her parents, Sid Scott and Margaret Hopkins; her son Chris in 1977; her 6 siblings, Lorraine Douglas, Leda Ladd, Lillian Knowles, Laverne Scott, Linwood “Boomer” Scott and Lois Traxler. Friends may visit with her family from 2 to 4 and 6 to 8 P.M. Thursday, April 17, 2014 at the Winkel Funeral Home, Otsego, and from 1:00 P.M. to the time of the funeral service at 2:00 P.M. on Friday at the Alamo Congregational Church with Pastor Don Boss officiating. Burial will follow at Alamo Center Cemetery. JoAn M. Waite, age 74 of Kalamazoo passed away Tuesday, April 15, 2014, at Riverview Manor in Three Rivers. She was born March 4, 1940 in Nashville, MI to Carl and Doris (Boyer) Willcutt. On April 1, 1961 she married Darrell J. Waite. Surviving are her children, Rick, Steve and James Waite and Elizabeth (Earl) Vest; her two remaining siblings, Charles (Mary Lou) Willcutt of Delton and Irene Ziegler of Martin; several grandchildren, great-grandchildren and many nieces and nephews. She was preceded in death by her parents; her husband and her brother Stanley Willcutt. Cremation has taken place. A Memorial Service will be held Friday, April 25, 2014, at the Plainwell Assembly of God. Friends may visit with JoAn’s family starting at 10:00 A.M. until the time of service at 11:00, Pastor David Alderman officiating. Please join her family following the service for a time of fellowship at the Plainwell United Methodist Church. Contributions in memory of JoAn may be made to the family to help with funeral expenses. Glen A. Riggs passed away Thursday, November 7, 2013 at the Henry Ford Hospital in Detroit. Glen was born January 8, 1979 in Kalamazoo to Thomas and Shirley (Briggs) Riggs. Glen had worked as a cook at the London Grill in Plainwell for many years and had worked at the Cooper Café for the last several years. Glen enjoyed cooking and following NASCAR, each year he traveled to Bristol TN to enjoy the race at the Bristol Motor Speedway. Glen was a kind person and had a gentle soul. He is survived by his mother, Shirley Riggs of Cooper Twp. and by his sisters, Marcia Riggs of Plainwell and Corie Riggs of Niles. He was preceded in death by his father Thomas Riggs who died on May 9, 2013. Cremation has taken place, burial of cremains was done at West Cooper Cemetery. A Memorial Service will be held on Saturday, May 3, 2014 at 2pm at Oak Grove Bible Church with Pastor David Ives officiating. Contributions in memory of Glen may be made to SPCA of SW Michigan – Rescue and Adoption Center, 6955 West KL Avenue, Kalamazoo, MI 49009. Patricia C. Gabany of Plainwell, Michigan, passed away unexpectedly on Friday, April 11, 2014. 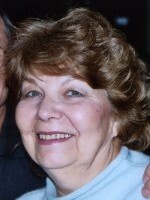 Mrs. Gabany was born May 15, 1936 in Detroit to Joseph and Ann (Urbanick) Uzarski. She lived in Sterling Heights for many years, moving to Lake Doster in 2007. Patricia’s greatest joy in life was caring for her family. She was a true matriarch and enjoyed scheduling family gatherings. In her leisure time Patricia enjoyed flowers, gardening, reading and shopping with her daughters. A wonderful cook, she was known far and wide for her famous rolls. Her favorite color was yellow, which reflected her sunny disposition and sense of humor. She will be missed dearly. On July 11, 1959 in Detroit she married Louis ‘Lou’ Gabany, who survives. Also surviving are her daughters, Sheila (Steve) Bullock, Karin (Bob) Zessis and Laurie (Michael) Bussing; grandchildren, Katie Bussing, Stephen Bullock, Nick Bussing and Kyle Bullock; siblings, Christine Marlowe and Robert Uzarski; several nieces and nephews. Friends may visit with the family 2 to 4 and 6 to 8 P.M. Tuesday, April 15, 2014 at Winkel Funeral Home, Otsego, where a funeral service will be held at 11:00 A.M. Wednesday, Rev. Fr. Antony Rajesh officiating. She will always be our “sunshine”. Mark Wheeler of Plainwell passed away Tuesday, April 8, 2014, at his home. Mark was born June 10, 1956 in Plainwell to Louis and Suzanne (Ughetti) Wheeler. A 1974 graduate of Plainwell High School, Mark worked for many years as a general contractor. He was a member of V.F.W. Post #3030. In his leisure time he enjoyed the outdoors, loved to hunt ducks and geese, deer and turkey. He also enjoyed fishing. Surviving are his children, Paul Wheeler and Libbie Wheeler, both of Kalamazoo; his mother, Suzanne Wheeler; siblings, Sally, Bob, Amy and John; several nieces and nephews. He was preceded in death by his father. Cremation has taken place and a memorial service will be held on Saturday, April 19, 2014 from 1-3 P.M. at V.F.W. Post #3030 in Otsego. Contributions in memory of Mark may be made to V.F.W. Post #3030 or to the family. Mary Catherine Laidlaw of Otsego passed away Monday, April 7, 2014, at Borgess Hospital in Kalamazoo. She was born December 21, 1948 in Otsego to Russell and Caroline (Kruss) Conway. Mary was a graduate of Otsego High School and KVCC. She had worked for Meijer, Pipp Hospital and as a crossing guard for Allegan Street School in Otsego. 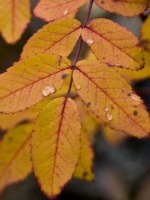 She enjoyed doing word puzzles and had been a member of the Otsego Church of God. On January 23, 1976 she married Douglas E. Laidlaw who survives. Also surviving are her children, Melisa (Jim) Trojanowski of New Baltimore, MI, Russell Laidlaw and Mike Laidlaw, both of Otsego; 5 grandchildren Ryan Wilson, Justin (Jasmine) Wilson, Robbie Trojanowski, Katelyn Trojanowski and Emily Rose; siblings, Maggie Conway of Allegan and Thomas Conway of CA; many nieces, nephews, and great-nieces and nephews. She was preceded in death by her parents. Friends may visit with Mary’s family Thursday, April 10, 2014, from 2-4 and from 6-8 P.M. at the Winkel Funeral Home, Otsego, where funeral services will be held Friday, April 11, 2014, at 11:00 A.M. Pastor Jim Lemen officiating. Burial will follow at Mt. Home Cemetery. This section is widgetized. If you would like to add content to this section, you may do so by using the Widgets panel from within your WordPress Admin Dashboard. This Widget Section is called "Right Post Sidebar"